Get A Free Kleenex 2-Ply White Tissues Bundle, 6 Pack! With the perfect balance of softness and strength, Kleenex facial tissues are durable and absorbent; perfect for makeup smudges, sniffles and sneezes, children’s messy faces and more. Just use and toss; no sweat, no fuss. Stock up on Kleenex Everyday Tissues and keep tissues on hand to care for family, company and yourself during cold and flu season, allergy season, back-to-school and holidays. 1. Click on the link below! 2. Create your account with an email and password. 3. 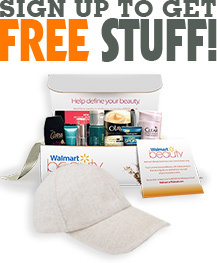 Click on the “Get Offer” button and it’ll take you to Walmart. 4. Add 1 “Kleenex 2-Ply White Tissues Bundle Pack, 6 pack” priced for $8.48 to your cart and shop as you would normally then checkout. If the price changes or anything happens to the stock, the deal is officially over. 5. This is a Free In Store Pick Up offer. 6. Once you checkout, in about 14 days $8.48 will post in your TopCashback account. Get A Free Kleenex 2-Ply White Tissues Bundle Pack, 6 pack!